It's staring you in the face -- literally. 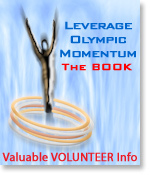 The #1 tool to drive Olympic profit for almost all businesses is the internet. By far, the internet is the easiest and cheapest way to reach the most people. Not only does it support a two-way conversation, it allows you to target a specific demographic and market. you have to reach out and touch someone. It makes no difference whether you are a manufacturer, producer, retailer or service industry. You have to connect with prospects and convince them you have something your competitors do not. Many SMBs, especially manufacturers and producers mistakenly believe that because they live in an Olympic region they are a shoe-in to win an Olympic contract. Ironically, for some it is a detriment because you know "too" much and will be harder to negotiate with than a competitor from outside the region. You also operate your business in an Olympic region, which means your cost of doing business is higher than competitors in other parts of the country or world. You could be dead in the water before you even start. Still, somehow, you have to reach all those companies within your region and around the world who are interested in Olympic excitement. Many retailers also mistakenly believe that the throngs of people expected to arrive in our Olympic region in the ramp up to and during the Games will ensure big sales. Unfortunately, it doesn't work that way. Think of it like this; If you are a retailer, how are your sales on big event days, like Canada Day for instance, or maybe during the fireworks on English Bay? For most of you it's not very good. The same thing occurs regarding Olympic crowds. They walk, and browse, but they do not necessarily buy. You must develop a strategy to entice them to your location and give them good reason to make a purchase, and your website is the absolute perfect medium to do so. If your website has not been updated in the last six months and is not kept fresh you stand little chance of attracting Olympic eyeballs (VANOC, spectator or otherwise) and either retail, manufacturing or tourism related. This is a time of change, and unless you can prove to prospects that you are in the game you won't have much luck engaging them in a business conversation. online promotion in Olympic regions. The Olympics, either directly or indirectly provides an opportunity to put a business in front of potential customers at a very high frequency. The more they see you on their computer monitor, the better the chances they will think of you when they make a purchase decision. I'm not just referring to retail either. The same philosophy applies to all types of businesses including eco-tourism or manufacturing. Mindshare is the ultimate goal. Companies want their product to dominate the psyche of the public. Once you have this visibility you have incredible power to win. For example, when you are thirsty Coke doesn't want you to envision a can of pop. They want you to automatically see a can of Coke in your mind's eye. The decision is made for you. Is Coca-Cola better than Pepsi? C'mon, it's merely an advertising gimmick of Olympic proportion. Pre-internet, small and midsize business never had an opportunity to play on the Olympic field because they couldn't afford the price. Thankfully, today things are much different. The playing field might not be perfectly level, but the peaks have been flattened and some of the valleys filled, and this is what gives SMBs an edge they never had in the past. SMBs can actually get in the game and play to win. Granted they aren't all going to come away making millions, but the opportunity to score big should give them enough drive to create a plan and cross the finish line. In the past the big box Olympic machine excluded small players by making the entrance fee so high they couldn't ante up. Today SMBs can use the internet to leverage Olympic momentum that in the past would have been well beyond their reach. In the past SMBs had to fight for scraps thrown their way when the Olympics eventually rolled into town. Today, they can communicate with potential Olympic sports fans that will eventually make the pilgrimage to the Olympic region - and they can do it before they arrive. If you can reach them in advance you can sell to them. No longer will Olympic sports fans just stumble by in a crushing mob by accident. SMBs can actually establish a relationship online and entice a potential customer to sample their wares before they arrive in town. Manufacturers, producers, and supply companies who do not have a retail interest can also leverage the momentum by making sure they are seen online in all the right places, and that their websites present them in the best possible light to prospective clients. They can only do business with your company if they know you exist. Prospects will find you because they are interested in the Olympics. Envision a prospective customer browsing around online and discovering your company. They see that your company just happens to be a perfect fit for the supplies they need to keep their business operating efficiently. While they are at it they look a little deeper and discover that the area your company is situated in might be a good region to locate a sales office or an assembly or manufacturing plant. It could even be an ideal spot for corporate headquarters. It's birds-of-a-feather networking using the internet as the dating service, and it's that easy. Engineered properly, an online presence holds unprecedented potential for the development of brand awareness through mass-market education. This medium should be leveraged in conjunction with all the other forms of Olympic energy. Olympic big box sponsors are going to use television to associate themselves with the games. All you have to do is place yourself in their slipstream by making sure your presence is placed strategically online in the places you can afford. These places are numerous and their numbers will continue to grow the closer a region comes to hosting the Games. Depending on the circumstances and needs of the respective parties, one will always feed off of the other. A strong web presence will be needed in order to integrate into websites that specialize in Olympic information. The goal is to not only be noticed in these websites but to be the ONLY one noticed in these websites. 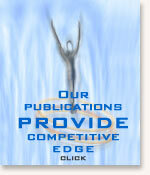 If your web presence looks unprofessional you will not be included in Olympic-caliber websites. They will not want to associate with you unless it is proven, ideally by a third party, that you are an expert in your field of business. reported widely in Utah newspapers. Salt Lake City (2002) . . .
All mailboxes in the Olympic core were removed from the street. Plus, every piece of mail coming into the region was thoroughly scanned and inspected. It put incredible pressure on the system and created numerous bottlenecks and delays. Parking lots in the Olympic core were constantly FULL due to landlords renting parking lots to Olympic related businesses. This meant employees had nowhere to park. Many companies were forced to have employees work from home which meant setting them up with computers and internet connections. This provides a big opportunity for SMBs in the tech sector. Crosswalks were often closed in the Olympic core due to heavy traffic. It severely hampered foot traffic to stores because pedestrians could only cross the street at designated corners. Retailers complained to no avail. Everyone, including employees, experienced chaotic and heavy congestion each day between 2:00 pm and 2:00 am in Olympic cores and downtown areas. Most retail business operations are not able to handle heavy traffic. Customers subjected to this crowded atmosphere were overwhelmed. If you want to sell to this crowd you have to create strategies to specifically entice them to buy. The Games' economic boost was confined to a very few blocks in the core and geared towards very specific tourist needs. Licensing of Olympic merchandise is expensive and complicated. The lesson here is that if you don't give shoppers a well-defined reason to come to your area you will get lost in the crush. If you don't offer Olympic merchandise you better have something unique or regional to entice customers. One of the best ways to do this is to create a relationship with customers through your website so when they get to town they will search you out. It takes time to cultivate this type of relationship, so if you want it to work you have to start now. There are a number of strategies such as sport specials, coupons, custom sport products, local design, etc., to drive this type of promotion. Locals who were scared away during the Olympic construction period did not return to the downtown core after the Games were over. Once they became used to patronizing places in their local vicinity they rarely returned. It was good for some businesses and bad for others. End of excerpt. If there ever was a time to build a new web presence, or fix the tired looking website that reflects your business, this is it. The best, and possibly only perk the Olympics will bring for small and midsize businesses is that the Games will open a window to prospects far and wide. Take advantage by leaning through it to welcome everyone in to your world. Make it easy for people to find you, and even easier for them to learn what you do and how to buy your products and services.